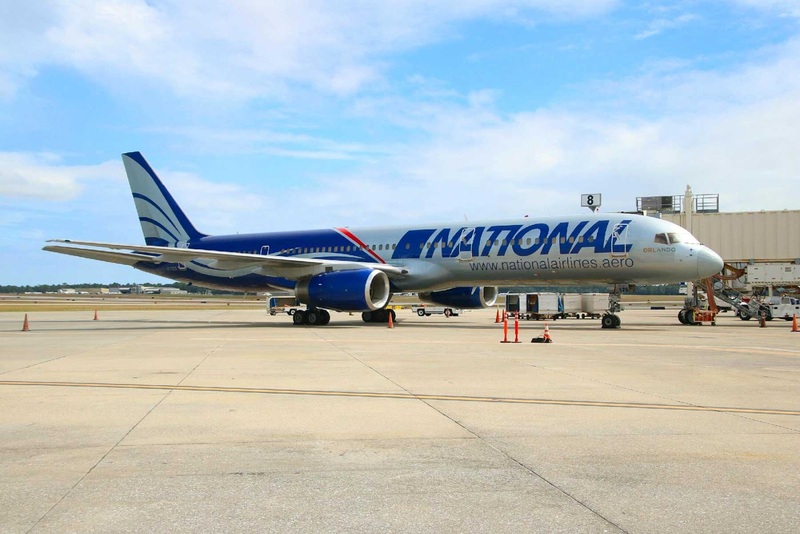 In a sight that hasn’t been seen in more than three decades, jets from both Eastern Airlines and National Airlines were on the tarmac at Pensacola International Airport on Thursday. Flights from both airlines landed in Pensacola after being diverted due to Hurricane Matthew, which is currently bearing down on Florida’s Atlantic coast. For more than four decades spanning the late 1930s through 1980, Eastern and National were the only two air carriers at Pensacola International Airport, then known as Hagler Field and later Pensacola Regional. Longtime players both in the U.S. commercial airline industry, both airlines went defunct years ago, but their names have been revived in recent years by upstart airlines hoping to capitalize on a sense of nostalgia. National Airlines was one of the first carriers to provide commercial air service to and from Pensacola, launching flights to Mobile, Ala. and Jacksonville, Fla. on November 1, 1938. The airline operated out of Pensacola for more than 40 years until merging with Pan American Airlines in 1980. Eastern came in 1947, and continued to serve Pensacola until the airline ran out of money and went belly up in 1991.